WHEN DO YOU START PREPARING? I recently gave a presentation to a group of business owners who were all in an incubator environment. They were all were starting new businesses in an office space in which they could share experiences. I spoke to them about the virtues of planning their exit simultaneously with figuring out how to enter their market places. How shall they organize, “C” corporations or “S” corporations? Limited liability corporations or sole proprietorships? How about a limited partnership? What are the advantages of each when it comes time to sell, if selling is the preferred exit. Maybe you are dreaming of going public. Should you stay as flexible as possible when it comes to this decision? The message is that it is never too early to start planning. Decide early on what your chart of accounts should look like. In many ways that will define forever what data you are going to capture and how you will be reporting it. What is your organization going to ultimately look like? Management and how it is organized are so important when it comes time to sell. Thinking how your company is going to look when you sell should be a major determinant in how you organize it at the outset. It is very upsetting to me that lately I have been finding more and more business owners who really do not understand their financial statements. They have a set of metrics, usually stored in their upper right hand desk drawer, that they use to run their businesses but when it comes to financial statements? They get them but they do not understand what they say so they do not use them as the management tools they are intended to be. That might work on a day-to-day basis but when it comes time to sell, buyers are going to use those statements to determine your company’s value. You better know what they say and what they mean. Prepare now! Right now! Due diligence is, so often, where deals fail. Once Letters of Intent are signed, buyers are entitled to perform due diligence – to inspect all aspects of the company to be purchased. Board minutes, invoices, contracts, licenses, tax returns, quality records, employee resumes and documentation, EPA files, OSHA files – everything. If your exit is to sell someday, why not begin to prepare your due diligence file today! There are Virtual Data Rooms (“VDR”) available on the internet where you can scan and begin to store data. All of your “founding” documents can be stored there permanently. You can then begin to file board minutes, the last 12 months financial statements, last 5 years of income tax returns, your long range plan and your current year budget. These VDRs are password protected in increasing levels of confidentiality depending where in the deal you are. You never know. Somebody might come knocking tomorrow! And if he does, you’re ready. 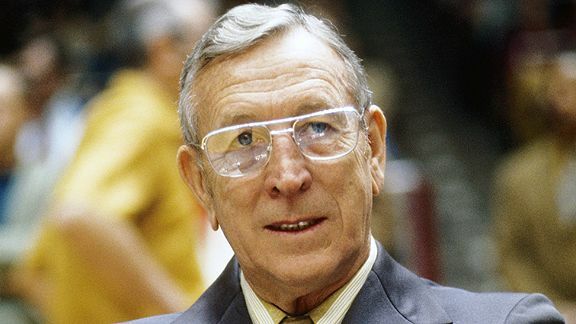 Coach Wooden, I bet you knew it all the time. Preparing to defend against the pic-and-roll and preparing to sell your company well before the actual event are both important for similar reasons. Prepared, educated and competent people stand an excellent chance at succeeding at their endeavors. Selling your company will probably be the most important transaction of your life. Whether you are 40 or you are 60, start to plan now for that event. Ronald Glickman and Associates can help you do that. I have had decades of experience in this field and, if I haven’t seen it all, I’ve seen most of it. Our first meeting is always courtesy.